Swainson's Hawk in New Mexico, U.S. on 4/19/18. Caught this killer in a bit of a wind storm out in the desert lowlands on the east side of the Chiricahua Mountains. 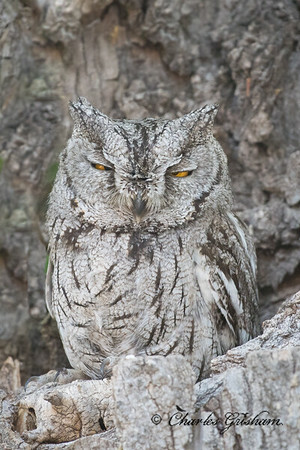 Western Screech Owl at Four Bar Cottages in Portal, AZ. 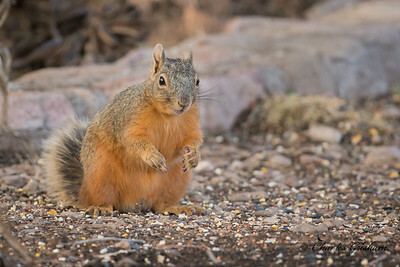 Chiricahua Fox Squirrel at Cave Creek Ranch. Chiricahua Mountains, AZ. 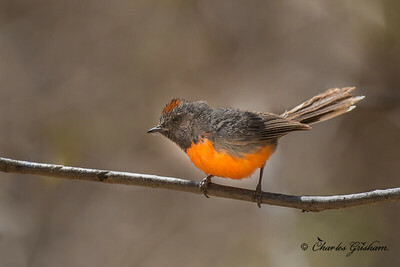 Slate-throated Redstart in the Chiricahuas near Mexico. One of the highlights from our trip last week to southeast Arizona was a close encounter with this rare for the U.S. bird, a male Slate-throated Redstart. 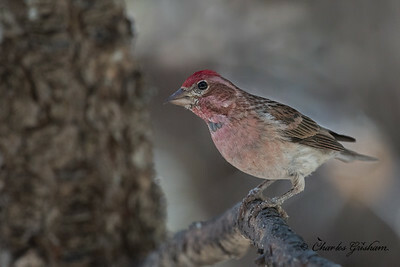 He was in the Chiricahua Mountains at Pinery Canyon, and apparently has a nest, although I'm not sure if that's been confirmed...just word of mouth. During the last few years or so, only about 1 individual of this species has been seen each year in the U.S. My heart was pounding away as I sat still within about 10 feet of this guy. I love it when God answers my bird prayers (-; Taken on 4/18/18 with a Nikon d500 w/Nikon 200-500 lens, f5.6, 1/500s, 500mm, handheld. 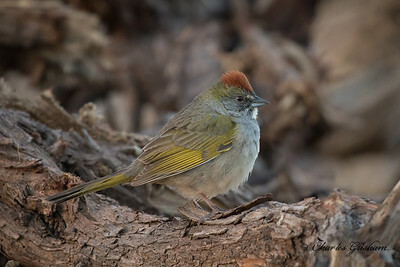 Pyrrhuloxia in Rodeo, New Mexico. Since childhood, I've been an avid bird enthusiast. 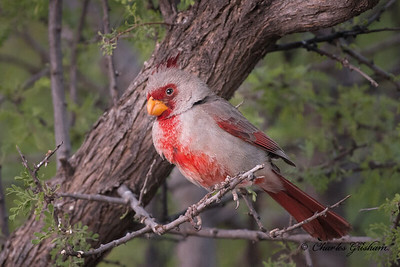 The Pyrrhuloxia (photo below) was always one of the species that stood out well in the bird books. They are much like the Cardinals we have here in the southeast (same height and wingspan), but weigh slightly less. 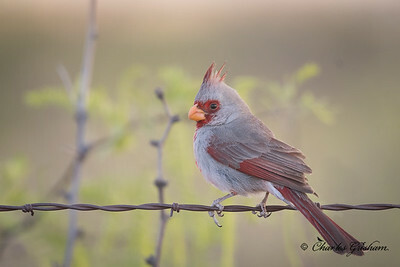 Btw, Cardinals are actually increasing in numbers out west. This feathered critter decided to strike a pose before the sun rose over the Chiricahua Mountains from the east side. But after editing the photo, I see the Pyrrhuloxia was giving me the finger with his left hand...can't believe a bird shot me a bird (-: Nikon d500 w/200-500. Rodeo, New Mexico, U.S. 4/19/18. 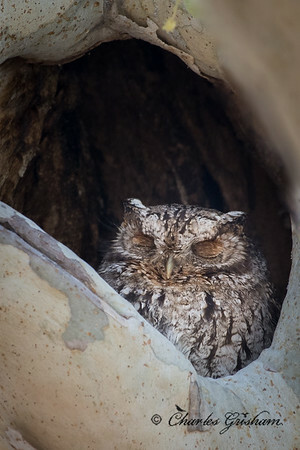 Whiskered Screech Owl within Cave Creek Canyon in the Chiricahua Mountains of southeast AZ. 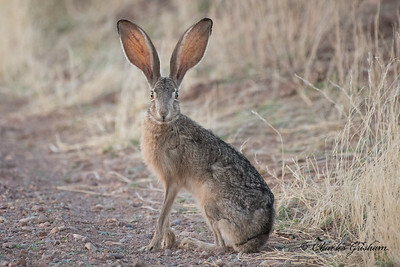 Antelope Jackrabbit in Portal, AZ. Every day of our trip in southeast Arizona / southwest New Mexico we came across several of these Antelope Jackrabitts. At first glance, they seemed like a fox or coyote since their huge ears make them look larger than they really are, especially when they are hopping around. Nonetheless, for being a rabbit, they are quite large, especially compared to the Swamp and Cottontail rabbits we have around here. They tend to thrive in dry desert habitat with abundant scrub brush and burrows. This individual was in Portal, Arizona off of State Line Rd., about 50 feet from New Mexico. 4/18/18. Fan-tailed Warbler in southeast Arizona. Fan-tailed Warbler in southeast Arizona on 4/16/18! 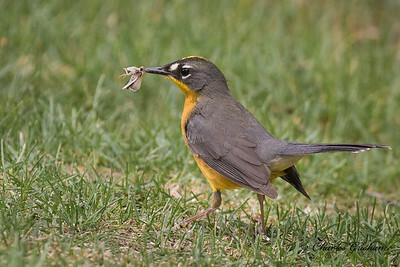 Definitely the "best" bird of the trip for me, a lifer (: This Mexican species very rarely makes its way into the U.S. 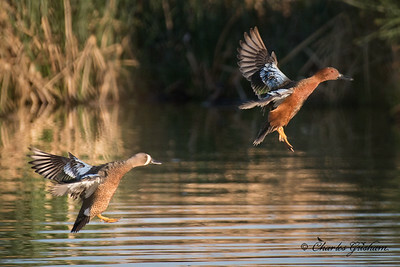 Many birders were calling it a "mega-rarity" lol. 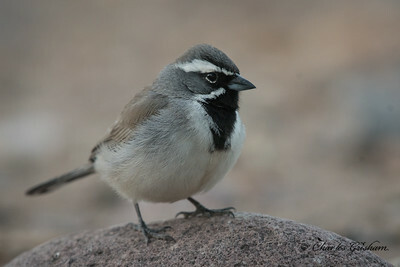 There were people from all across the country who flew in to the Chiricahuas just to see this bird while we were there. It only stuck around for a few days. Oddly enough, it was relatively tame and liked to forage in a fellow's yard in Paradise. Paradise is a small town within the Chiricahua Mountains, with about 5 people who actually live there, crazy! 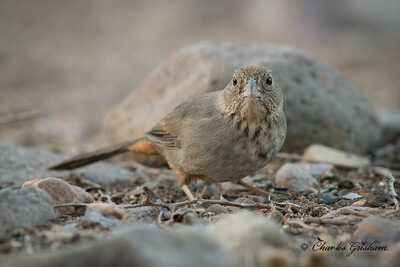 Anyway, this bird was a real treat to get to photograph, an awesome poser too! Horrible diet though lol. God bless! 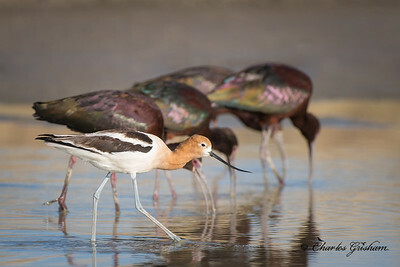 American Avocet & White-faced Ibis. We spent a couple days in Willcox, Arizona last week prior to arriving in the Chiricahua Mountains further south. Willcox has a sewer lagoon named Wilcox Playa. 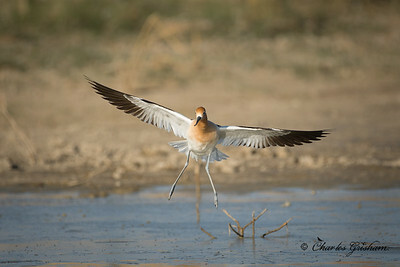 The Playa was full of shorebirds and waterfowl. I got out there pre-dawn on 2 separate mornings and hit the place up at sunset once. One of the highlights was watching a couple of American Avocets fly in while I was photographing some White-faced Ibises that I had literally belly crawled through tall grass up to in order to get super close. Here is one of the shots of an Avocet walking in front of the Ibisis. Hope you all enjoy, and I especially hope that you all have a blessed day! (Nikon d500 with Nikon 200-500 lens, f5.6, 1/2000s, 500mm, ISO 320). Olive Warbler on Mount Graham...see GPS. 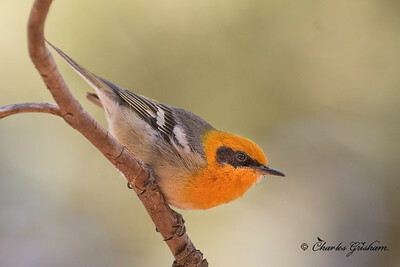 In years past, the Olive Warbler has always been a pain in the rear to get good photos of, at least for me. 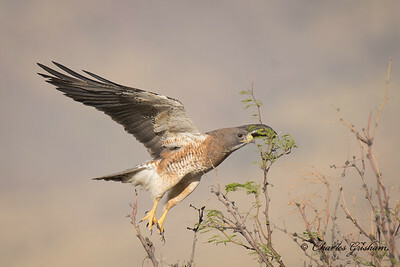 They always seem to forage within the canopy of Pine Trees in the higher elevations of "sky islands" of the southwest. But this striking male was kind enough to pose for me during our visit near the top of Mount Graham in southeast Arizona on 4/15/18. Mount Graham reaches an astonishing 10,724 feet. It's a huge contrast from the arid desert that surrounds it. 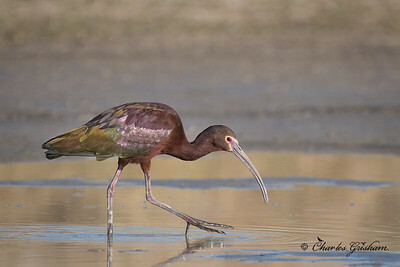 Btw, scientifically, this species of bird is in a family all on its own now. I'm not even sure if its considered a warbler at all anymore! Taken with Nikon d500 w/Nikon 200-500 zoom lens, f5.6, 1.400s, handheld.